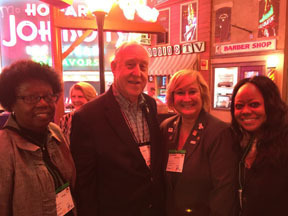 District Governor Susan Haralson with fellow Governors from zones 30-31 and Rotary International President John Germ. Each month Sunrise members volunteer their morning to teach a "character" word and its meaning to students at Wilsons Creek School. November's character word was "caring". 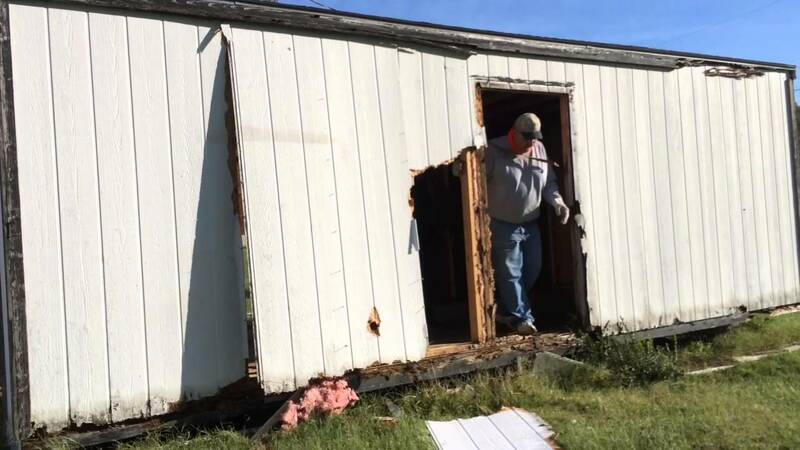 Sunrise Rotary members spent an afternoon tearing down an old shed and picking up around the campus at Ashley House. Ashley House is a Transitional Living program for abused and neglected girls in Springfield Missouri. Susan Haralson, Sunrise's Immediate past president and current Assistant District Governor, accepted the Presidential Citation for her year as president of sunrise last year. Susan said she is "very proud" of her Club. Susan collected multiple awards at District Conference on behalf of the Club, including the Presidential Citation, Club Central reporting award, and Sunrise's Interact Club received the Presidential Citation Award for the 3rd year in a row!